Higuaín on Hazard: "If he wants to join Madrid, I wish him the best"
Argentina striker Gonzalo Higuaín, who used to play for Real Madrid and current teammate of Eden Hazard at Chelsea, says it is difficult to change a player's mind once they have decided to leave. Hazard has been linked with a move to Madrid this summer to finally join up with Zinedine Zidane. "What can I tell you? Those are things that involve the club executives and the desire of the player. When a player has a desire, it is difficult to change his mind. ‘He is one of the best,’ Higuain added. Higuain played for Madrid between 2007 and 2013 so knows all about his teammate's possible destination. ‘It is obvious that, when he is at this level, he gives you points, he gives you goals and the truth is that it is a great asset to have him with us. He has not asked me (about life in Madrid) but if it’s what makes him happy, I wish him the best." However, after only recenting joining the English side, Higuain doesn't want the winger to move on. 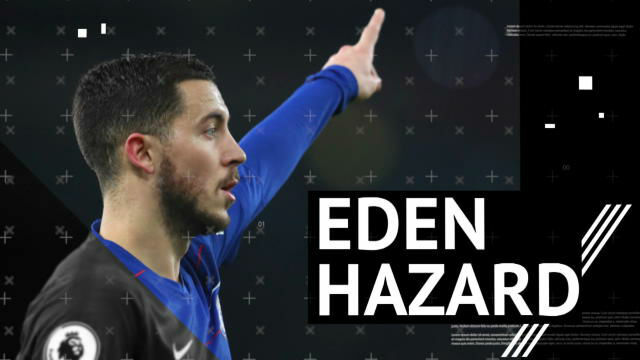 "What matters is Eden’s decision and the decision of the board. I cannot do anything. I hope he can stay."